So yesterday I was given a flower. It wasn’t J that gave it to me. Before you tell me I’m evil for bringing it home, let me tell the story. When Lady J was on her last couple of weeks here, she was telling everyone that she would be leaving. If you know her, you know how expressive and flamboyant she can be about anything. One of our regulars is a tour bus driver who refers to all the young ladies as “sunshine” or something else that might be considered demeaning or patronizing coming from someone who didn’t so obviously enjoy life. He’s always in good spirits and cracks jokes while he’s waiting for his money. So Lady J, who positively blooms under anyone’s attention, would flirt shamelessly with this old man and the last time before she left was no exception. She gushed about her acceptance to law school and we said how much we were going to miss each other when she’d left. 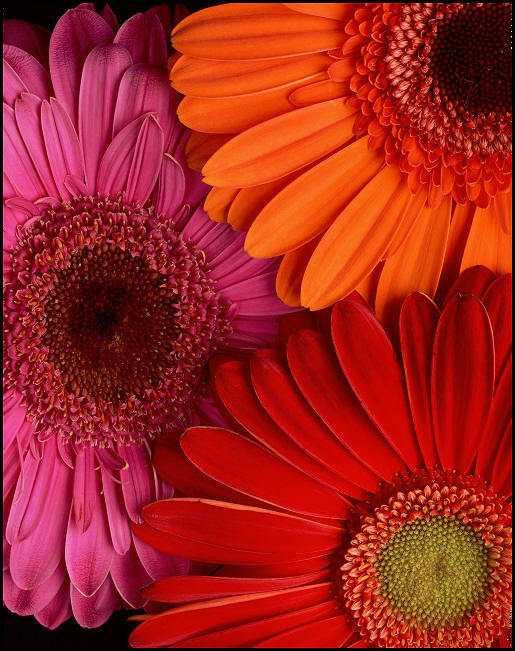 He congratulated her and came back not twenty minutes later with a pair of gerbera daisies. Ostensibly one was for me because I was losing an employee and the other was for her for getting into law school. However Lady J took them both. “So, who gave you the flower?” So I told him, but I’m not too sure he believes me.